n High efficiency, low energy consumption: Calculate optimum flow velocity, flow field and pressure distribution by using the special numerical simulation software of fluid mechanics. n High crushing fineness: The particle diameter was controlled by the turbine grading technique. Fineness was adjustable in the range of 100-300 mesh, and the particle size was narrow. n Low crushing temperature: System uses air-cooled design, temperature rise within 10 to 25 ℃, low grinding temperature. It can maintain the food ingredients flavor and nutrition effectively. 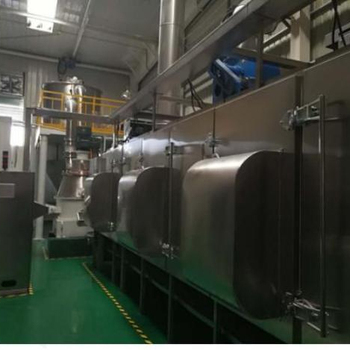 n Fully sealed negative pressure operation, the collector adopts new filter material, collecting efficiency can reach 99.9%, without environmental pollution.